Learn how to "Fight Like a Girl"
Fearless and Female programs can be customized to meet your organizations needs and specifications. Whether you are planning for a corporate event, college program, realtor class, Girl Scout troop or just a fun night out with your friends, we can make it happen! If your organization has specific topics you would like addressed, just let us know! Programs have been presented in boardrooms, ballrooms, school gymnasiums, college dormitories and churches for women ages 5-85! Browse our "CLIENTS" page to meet some of our past Fearless and Female graduates. Did you know that fighting like a girl is a really GOOD THING? Do you know what to do if you are knocked to the ground? Grabbed by the wrist? Grabbed from behind? Locked in the trunk of a car?? Relax and take a deep breath because Fearless and Female has the answers! 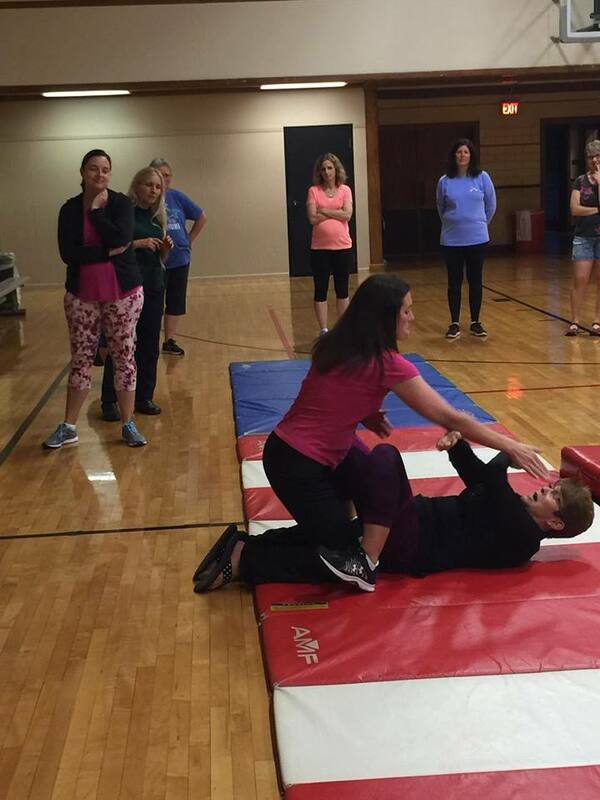 Join us for programs filled with fun, laughter and age appropriate self-defense skills that could someday save your life! Are you ready for a "get down to the nitty-gritty, women/girls only" program about living SAFE? Fearless and Female will address, age appropriate, issues that women face, on a daily basis, and then give you step by step tips and techniques to help you live SAFE. If you have a diverse group this is the perfect program to touch each and every audience member. Intuition, Living as a BAD TARGET and learning to FIGHT are the fundamentals of this presentation. Dress comfortable because now the action heats up. Everyone is invited to participate in the hands-on portion of the program. Students learn to set healthy boundaries, project a strong body language and then learn basic techniques for escape from attacks while standing or from the ground. Women will leave this program with knowledge and skills that could someday save their life! Fearless and Female - Keynote and Women's Conference: Fearless and Female is also a lively, full of humor, "info-tainment" type program with the goal of teaching women AND men the basics of personal safety. Cindy brings enormous enthusiasm, insight and energy to her unique and thought-provoking presentations. Cindy's own powerful story of overcoming her fear of a "Mr. Bad Guy" behind every corner and then her own journey to learn life-saving skills is presented with real life experience and humor. Whether at work, home, school or play this program proves to audiences that "you don't have to be a street-fighting Ninja to save your own life!" Cindy will transform her audience from looking like an EASY target of crime into a really BAD TARGET of crime. See a class that you are interested in? 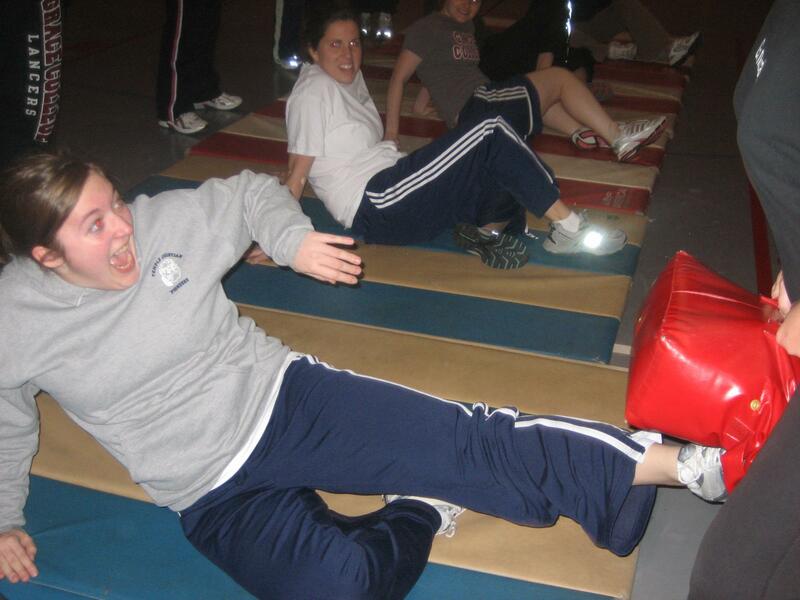 Want to plan your own private program? Send us an email and we will send program details.